The summer is approaching and this is the season to enjoy delicious fresh fruits. My favorite fruits this time of year are berries! I love blueberries, strawberries, raspberries, blackberries, and just about any berry there is. 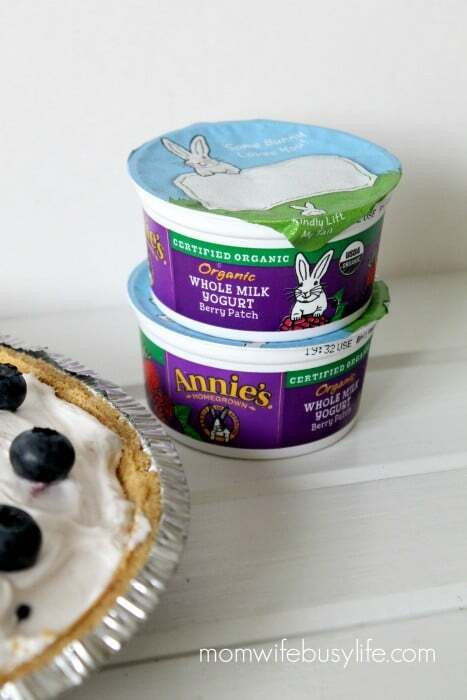 Recently, I came across Annie’s Organic Whole Milk Yogurt in two new flavors: Summer Strawberry and Berry Patch. 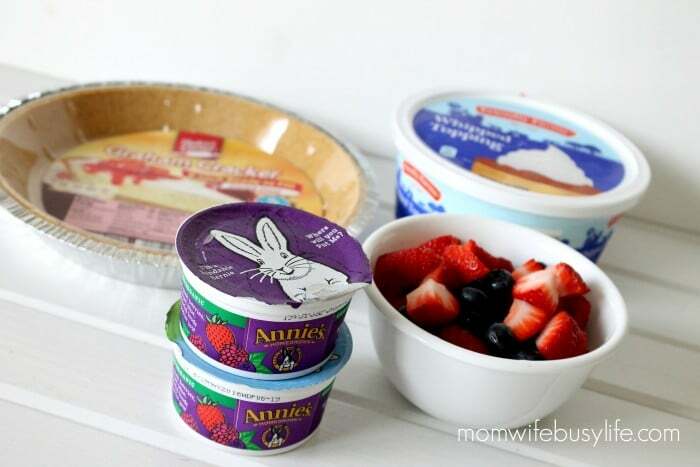 When I want to enjoy a cup of yogurt, I usually cut up fresh fruits or add berries to it! Instead of just cutting up fresh fruit for my yogurt, I wanted to try a new recipe for the spring and summer season. Chilled pies are one of my guilty pleasures this time of year and they are so easy and quick to make. When I make chilled pies, I can get as creative as I’d like! My family enjoys the pies I make as well and they are perfect served after meals for a refreshing treat. I decided to make a Chilled Triple Berry Pie for my first chilled pie this season. This chilled pie quickly became a favorite and I’m already anxious to make another soon. In fact, I am considering making this at a family gathering this summer when we go camping! This is an easy and fun recipe to get the kids involved with! My girls helped me make this pie. 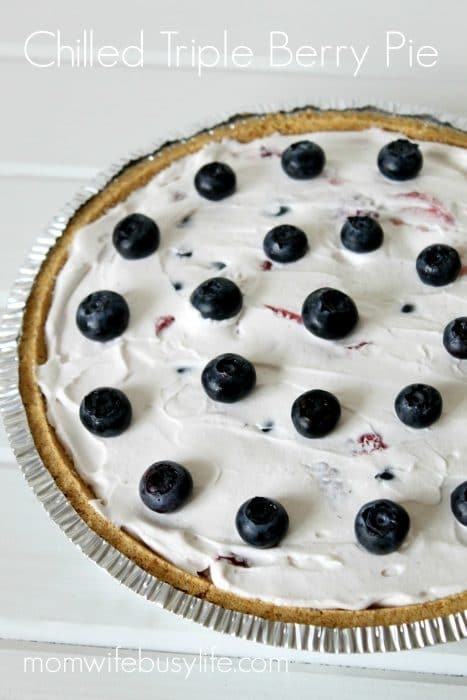 Allow the kids to help you in the kitchen when you make this pie. In a large mixing bowl, mix whipped cream and yogurt together and mix well. Fold in the fresh berry mixture with the whipped cream and yogurt mixture and mix well. Use a spatula to scoop the mixture into the graham cracker pie crust and spread evenly. Top with fresh berries of your choice. Chill at least 1-2 hours before serving. Did you like this recipe? Find more great recipes here! I commented on the pinecone bird feeder post! This was a post I also commented on. That looks amazing, hope i win! I commented on Swan Lake – Iris Gardens in South Carolina. Commented on seven layer dip.